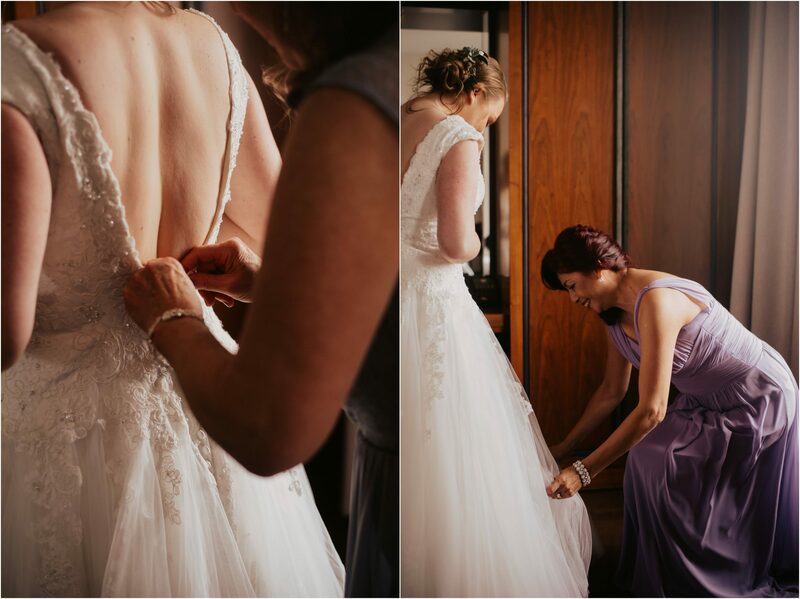 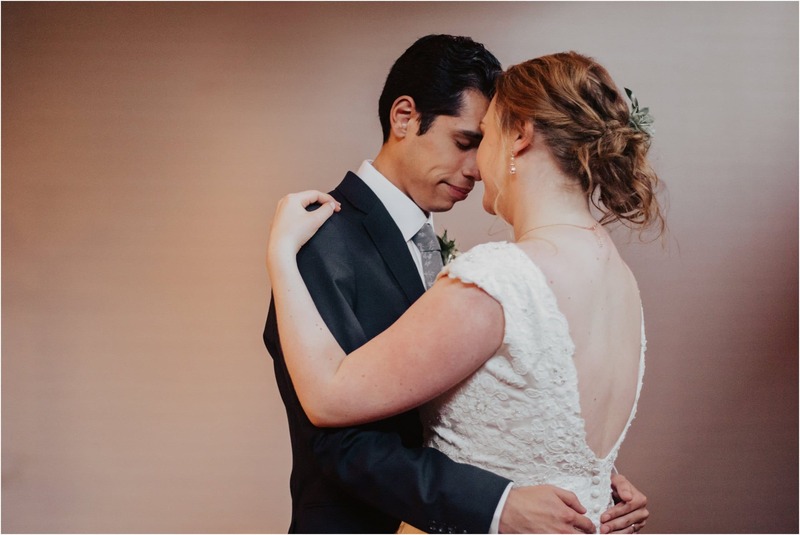 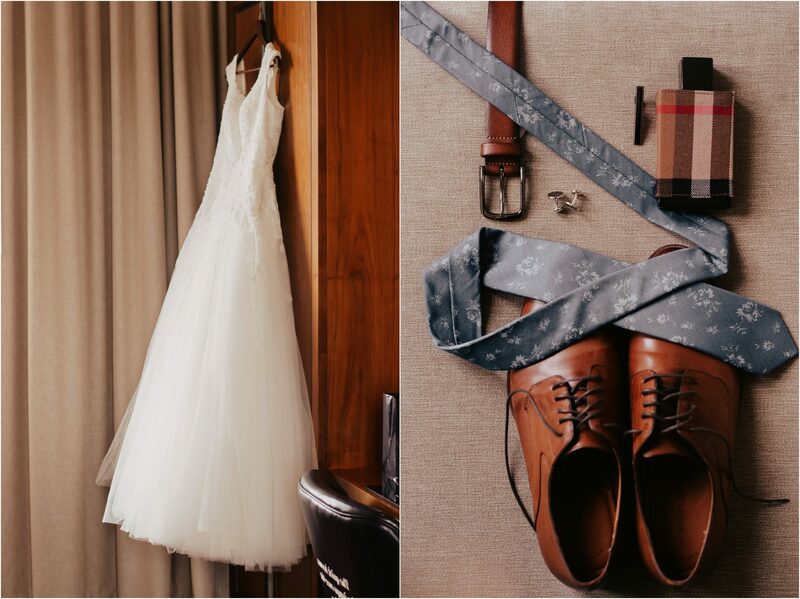 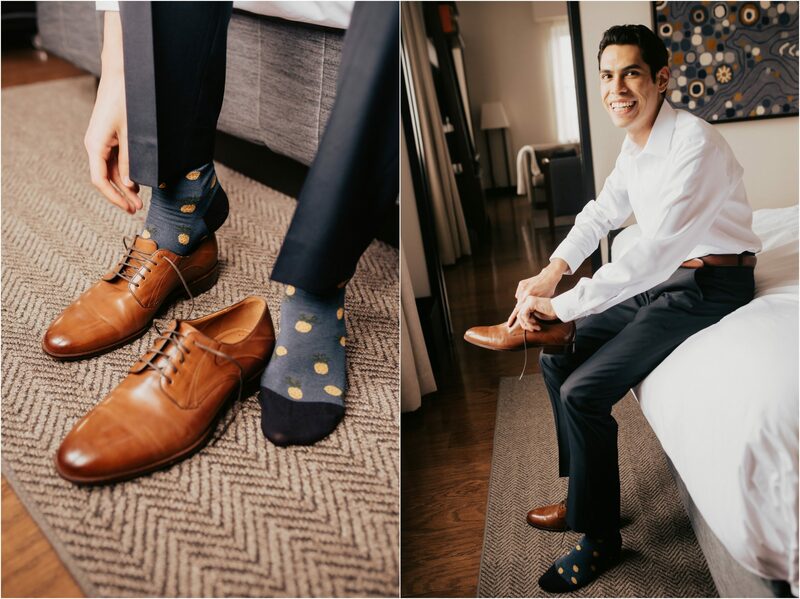 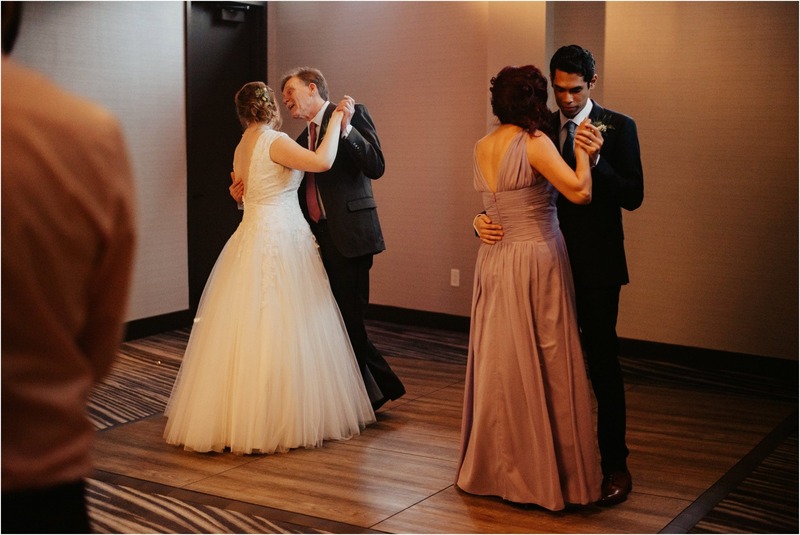 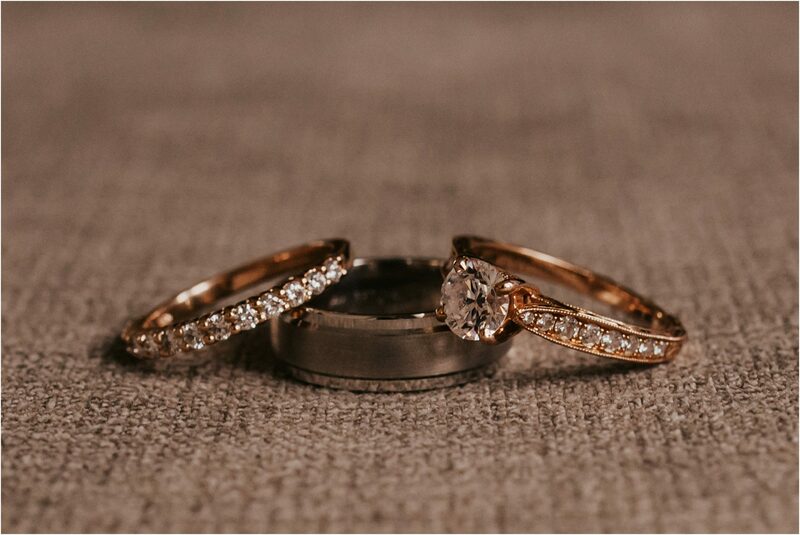 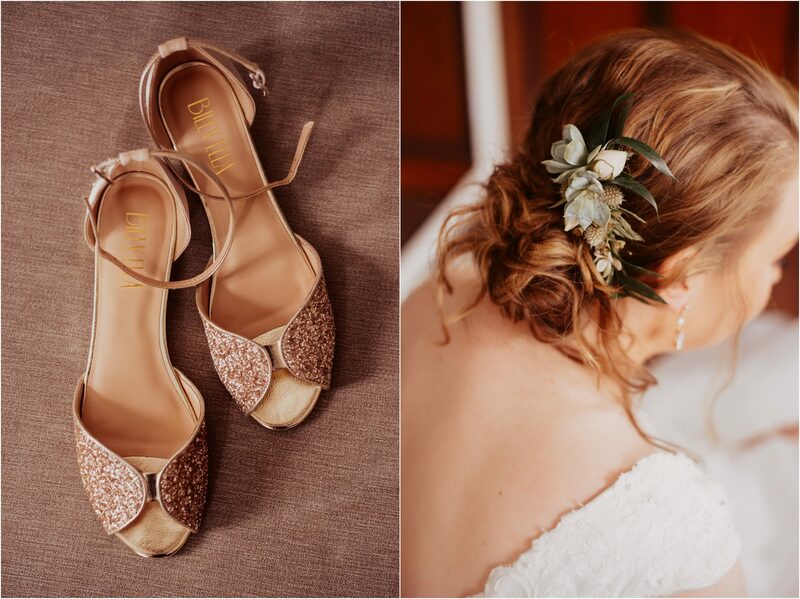 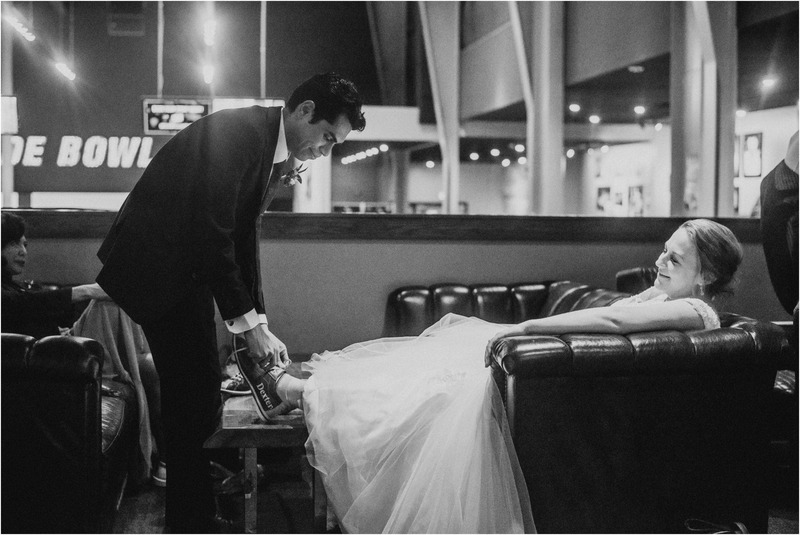 I loved everything about Alan and Kara’s intimate Maine wedding at the Press Hotel. 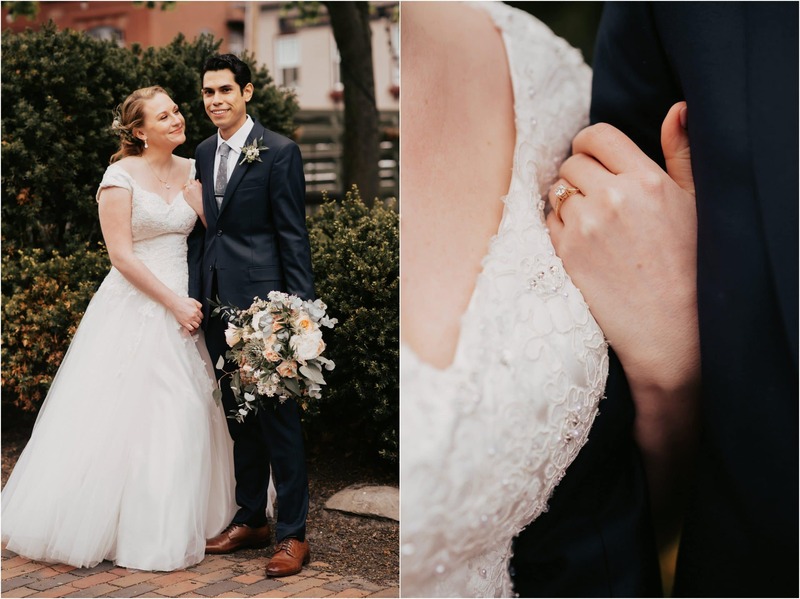 The couple opted for a first look, which was perfect timing for portraits before the rain reached us. 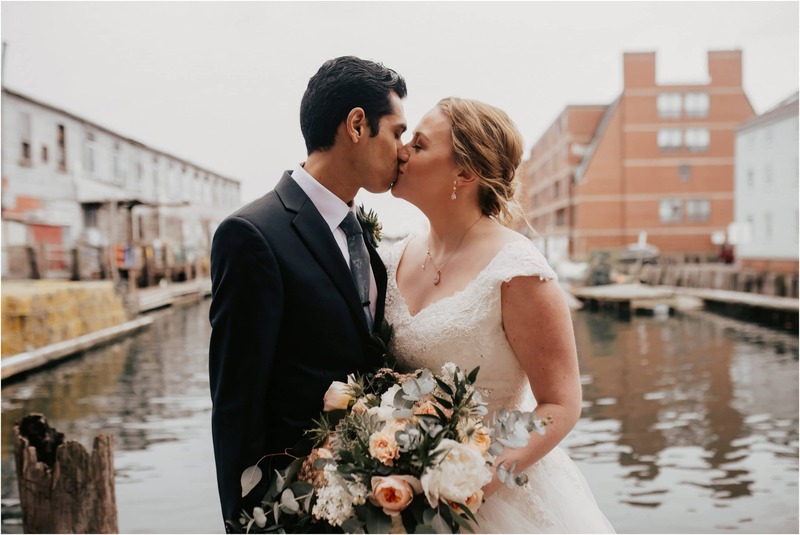 We walked down to the Portland Old Port and Commercial Street for urban and ocean backdrops. 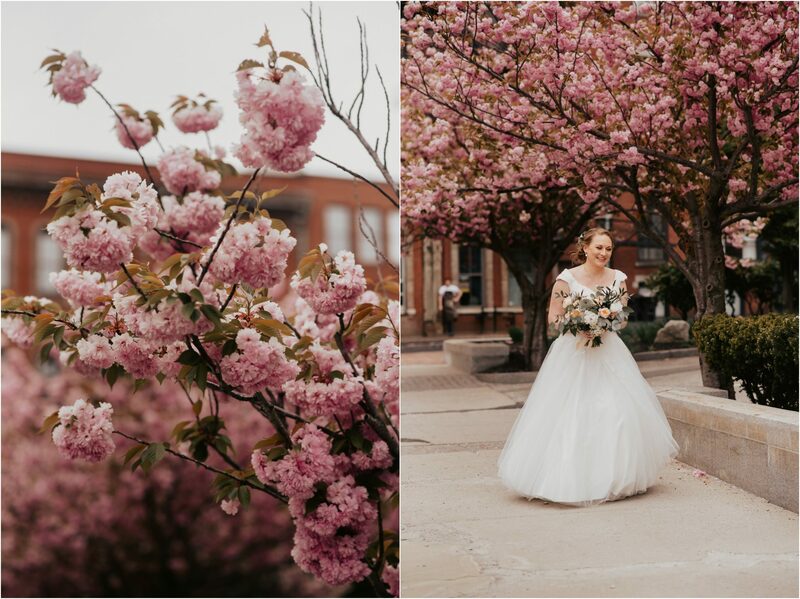 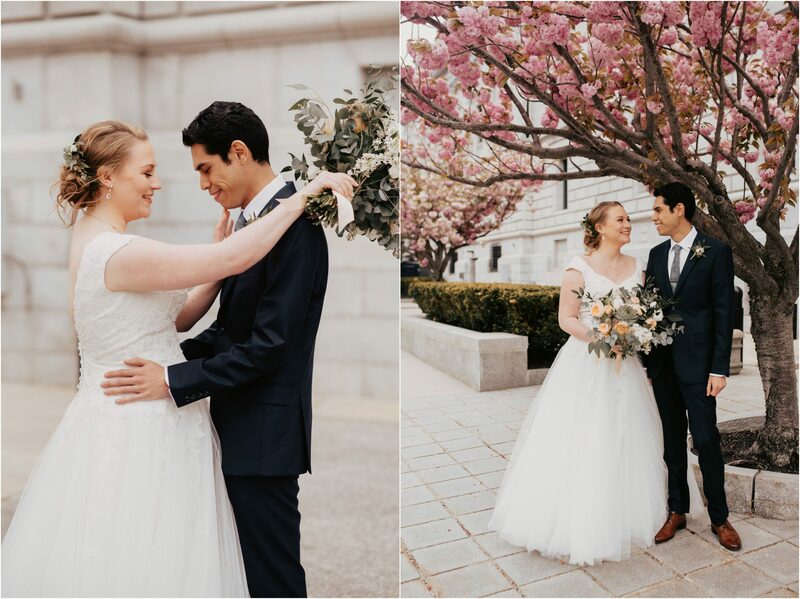  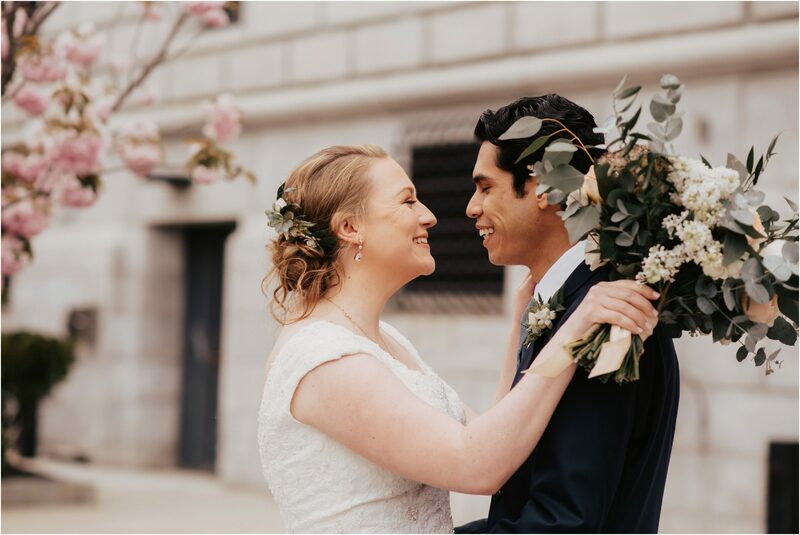 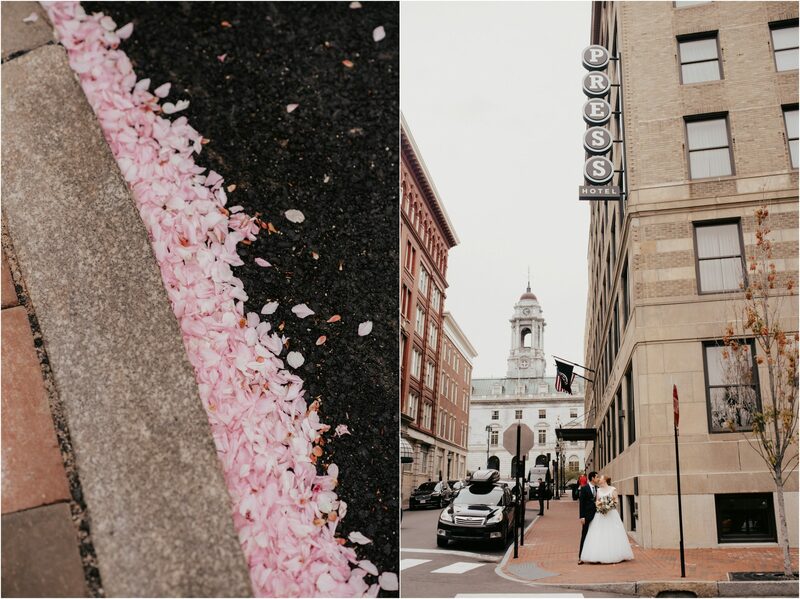 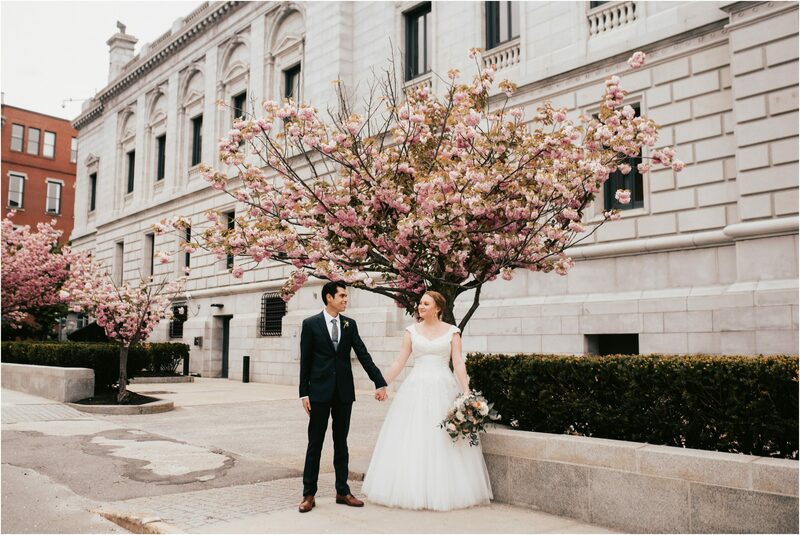 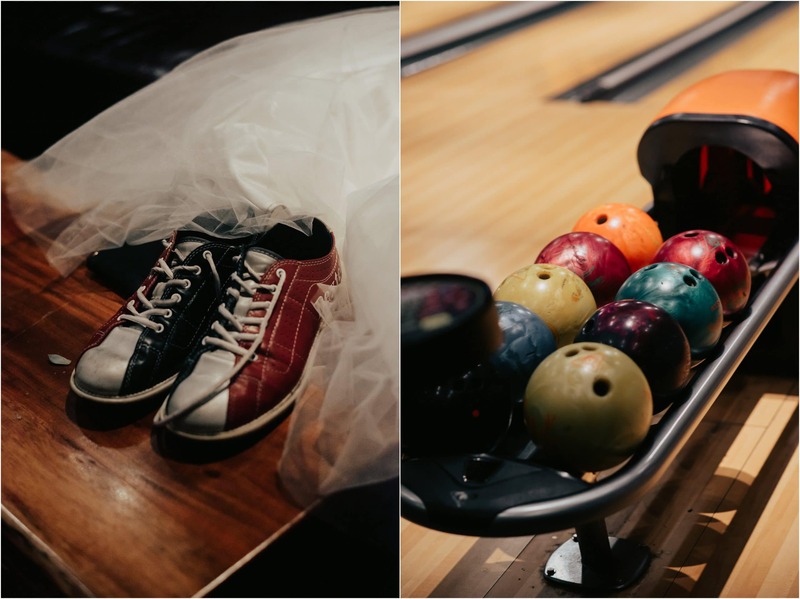 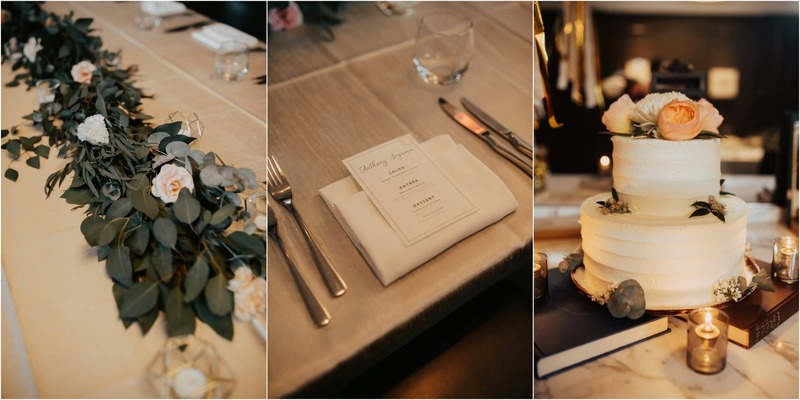 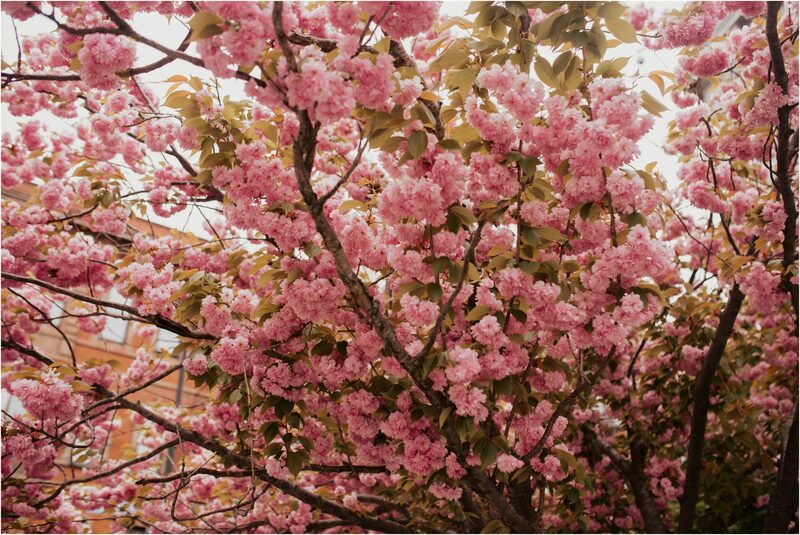 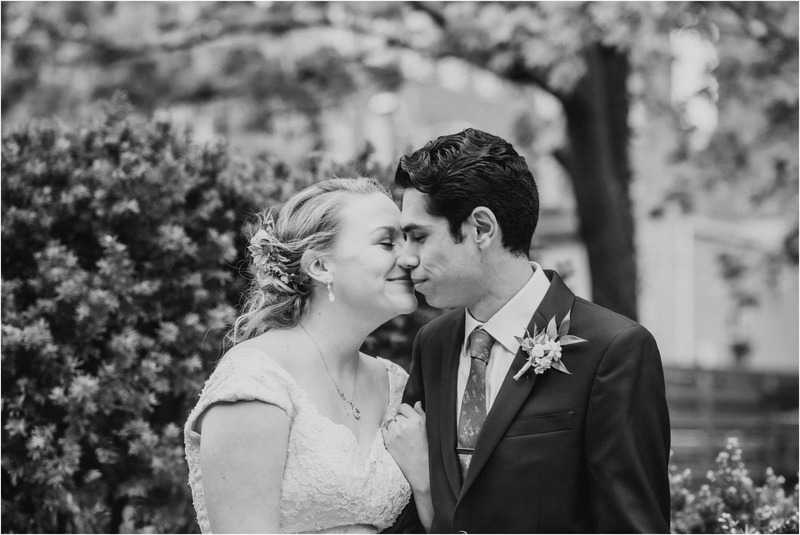 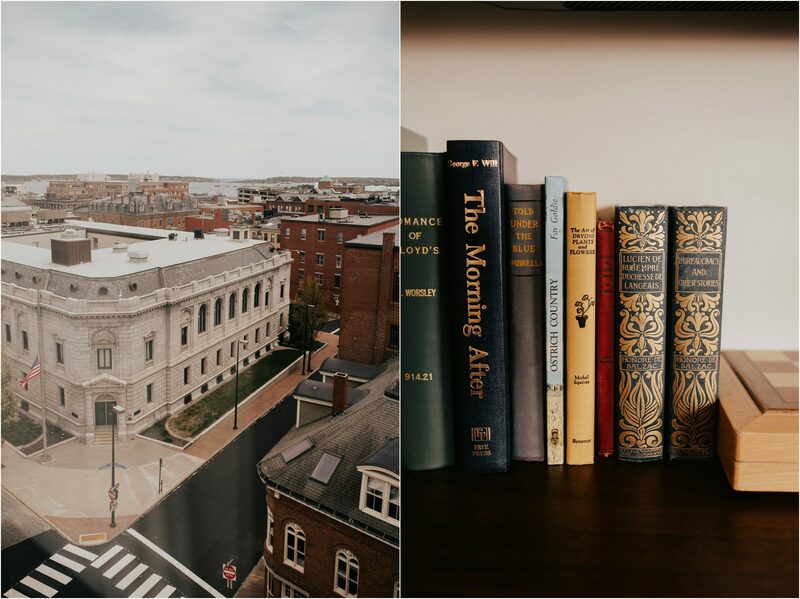 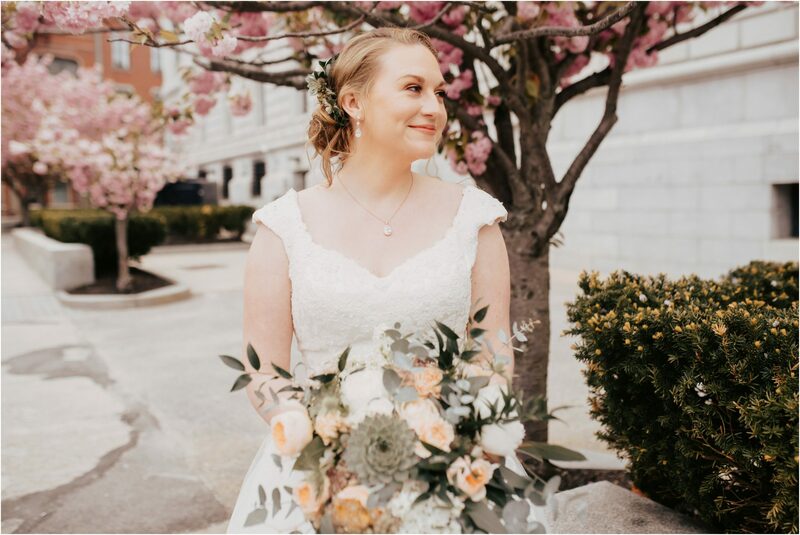 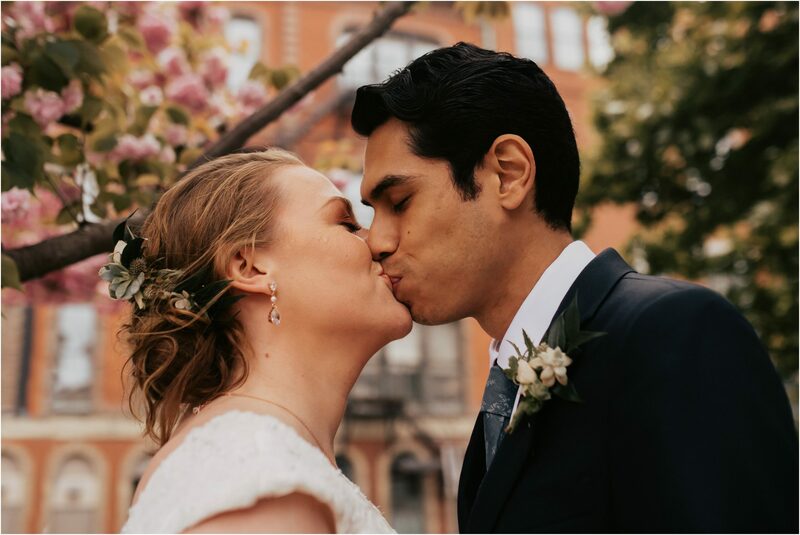 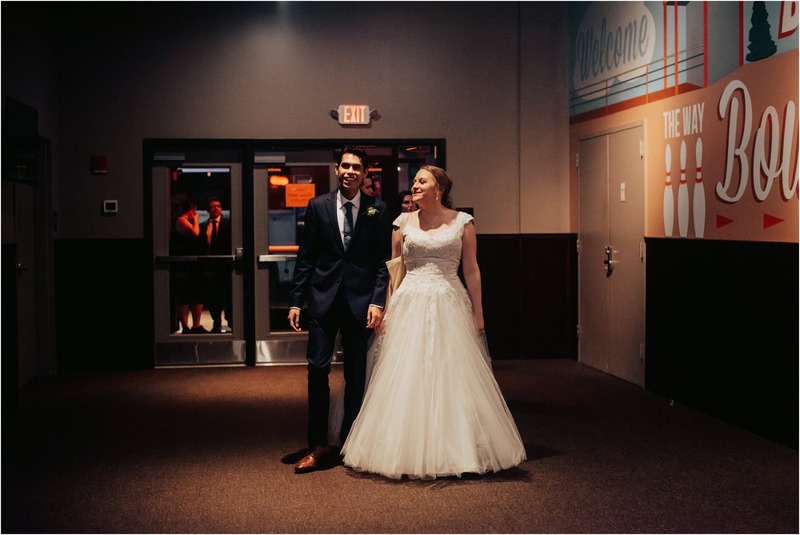 I adore Portland, Maine weddings for this reason – so many options! 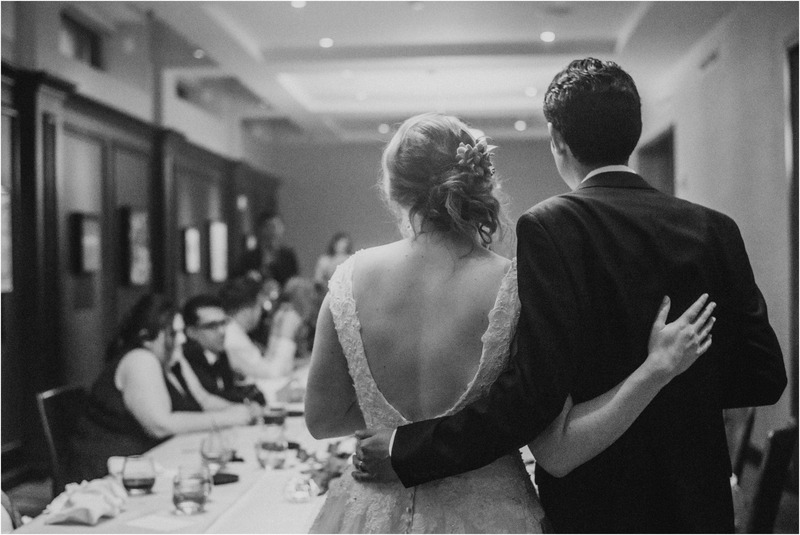 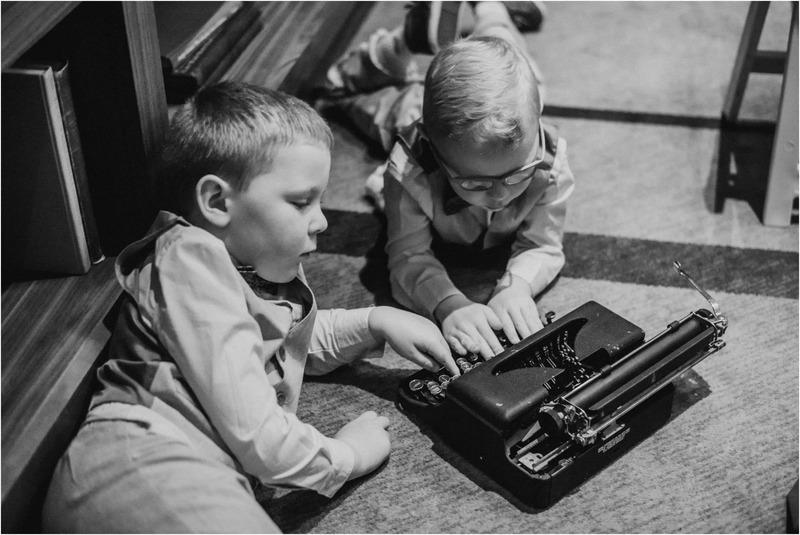 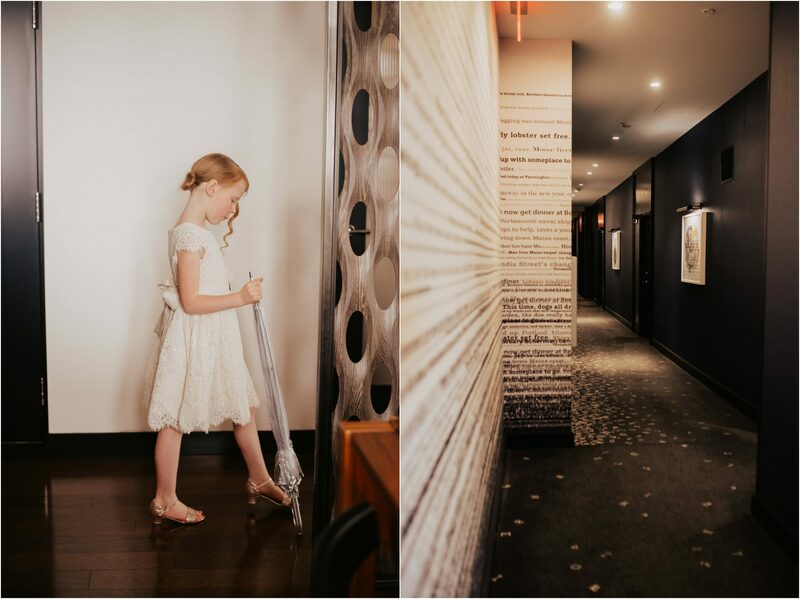 The hotel’s reception space was the perfect area for the family-style gathering to cozy up in after a day of rain. 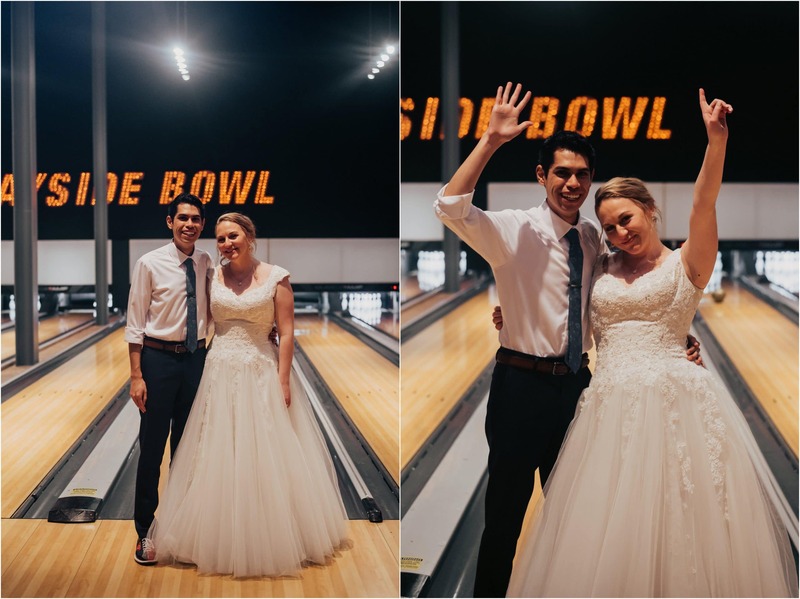 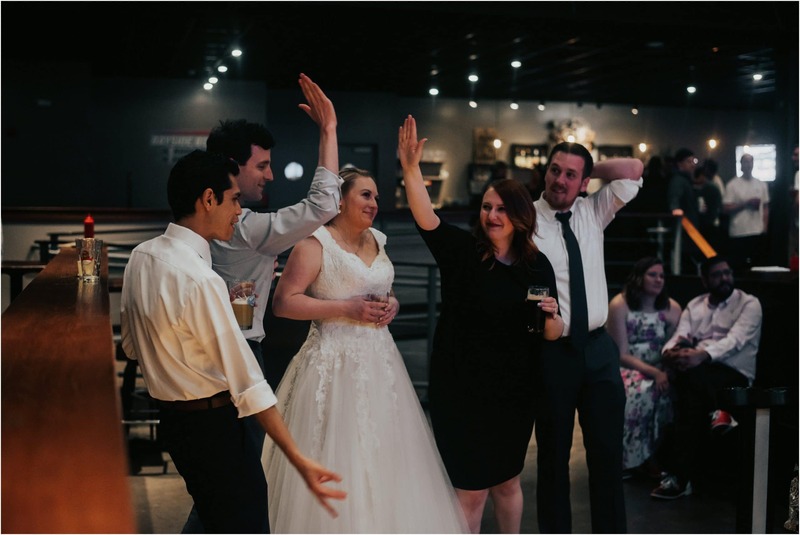 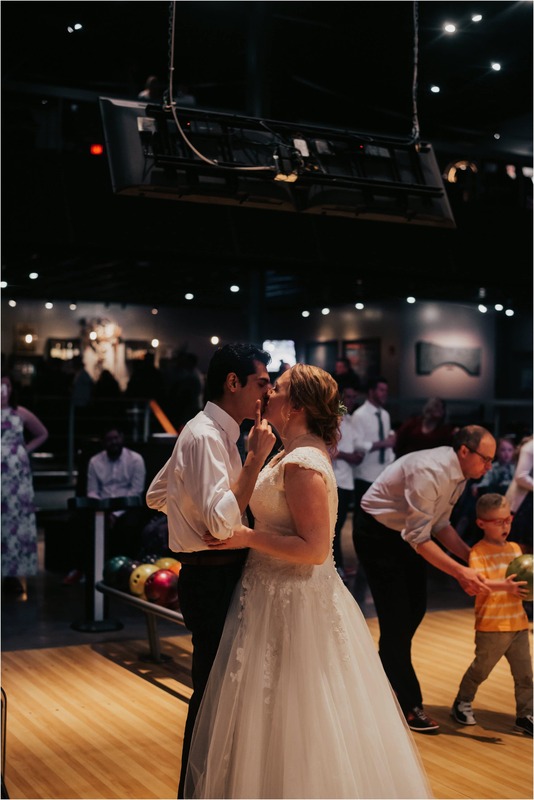 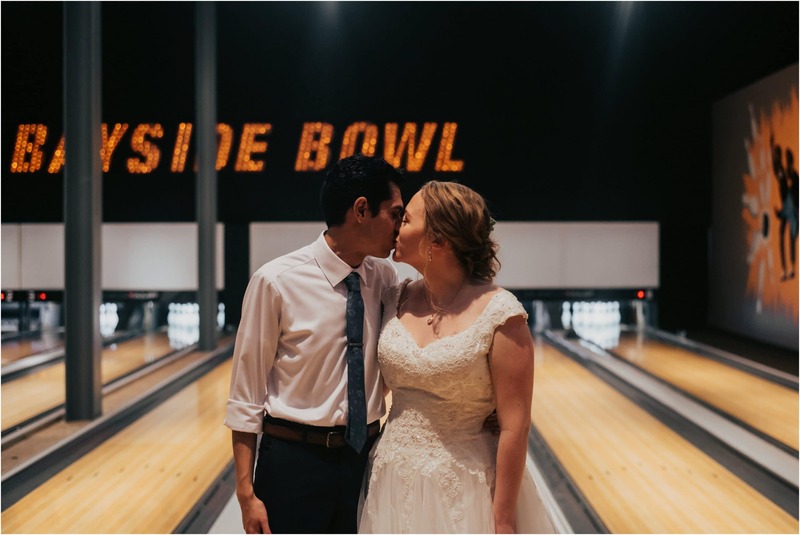 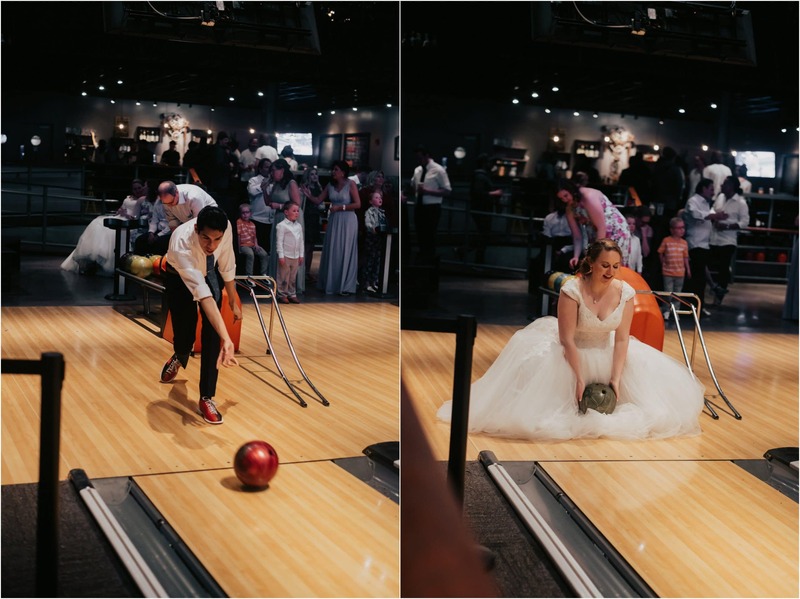 To warm up even further, a bus picked up the wedding guest after the reception and drove us to Bayside Bowl for the best wedding afterparty. 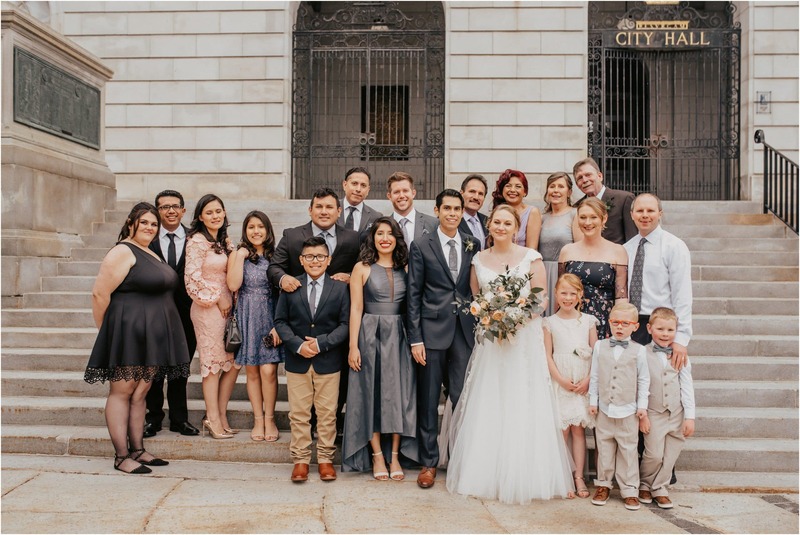 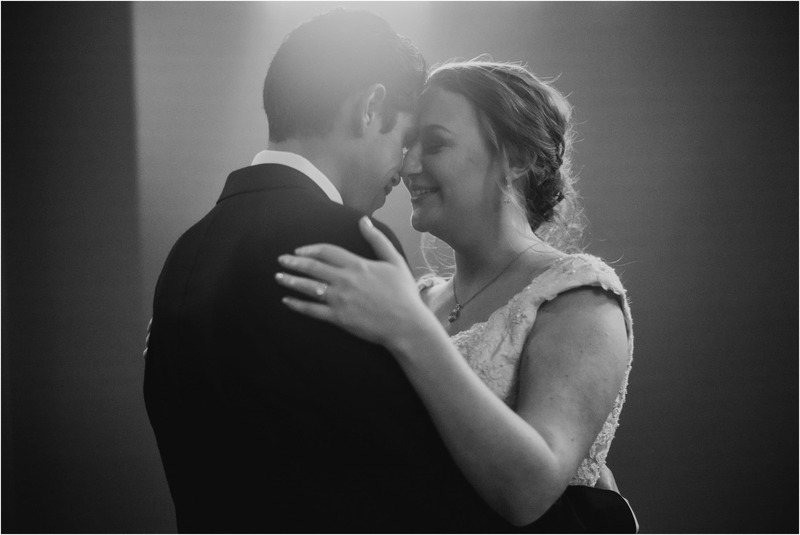 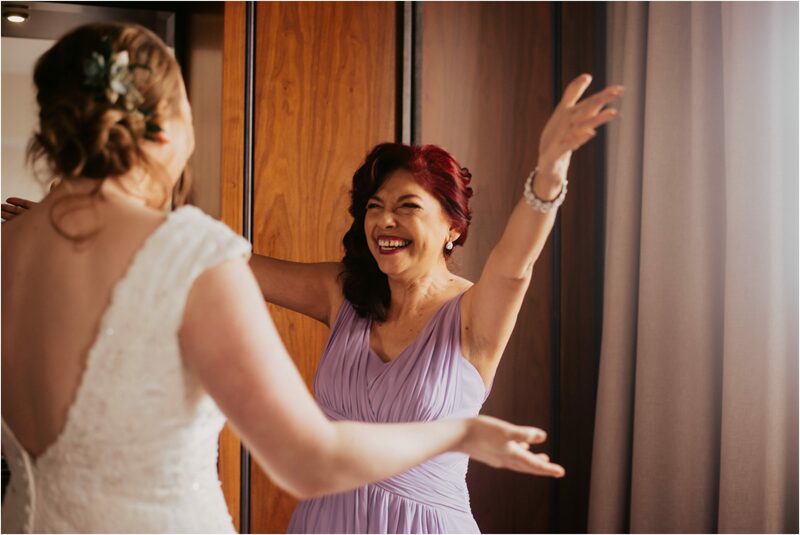 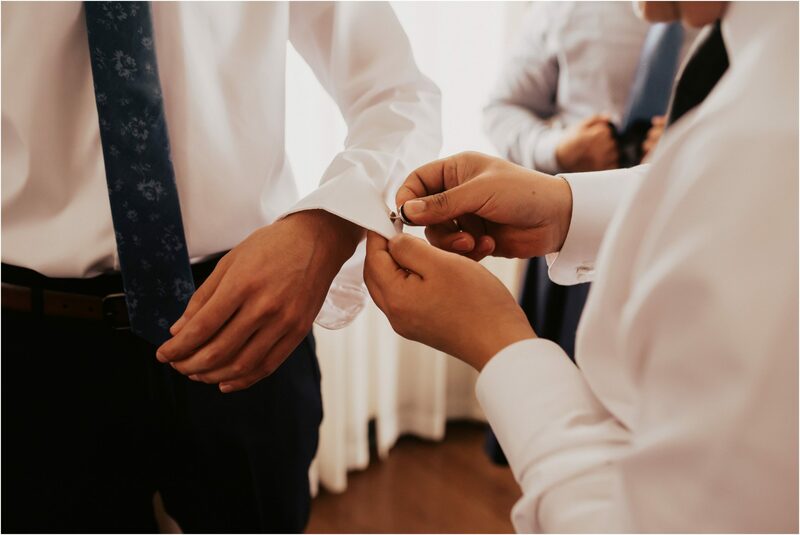 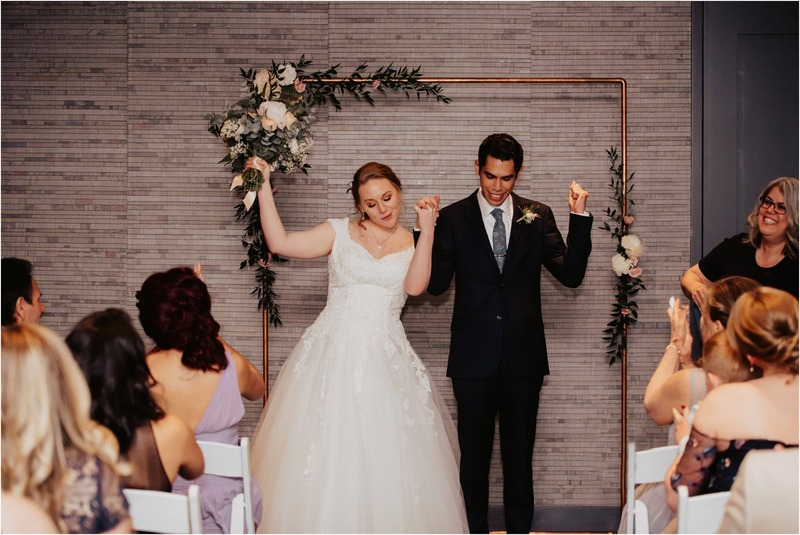 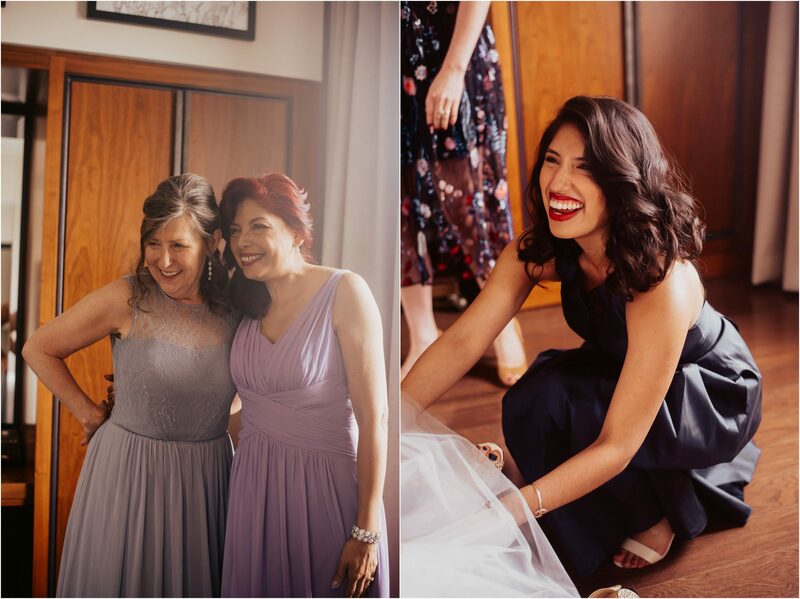 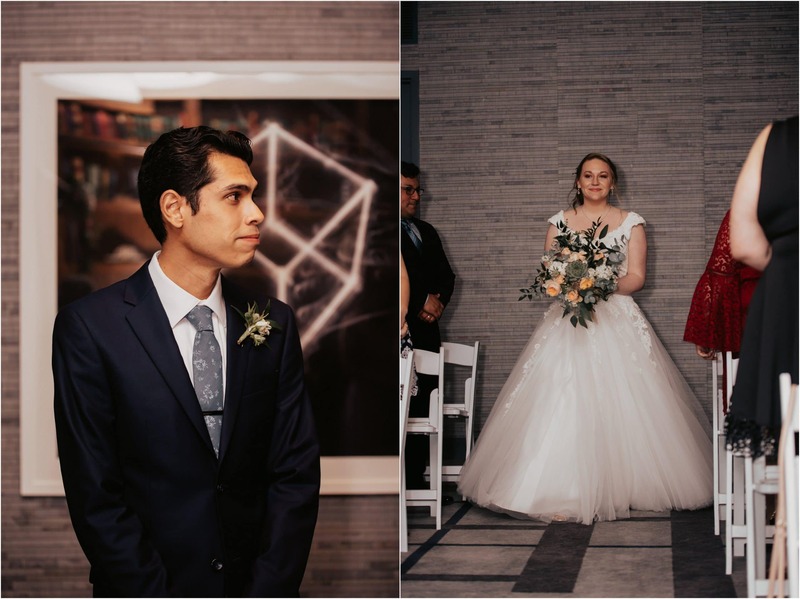 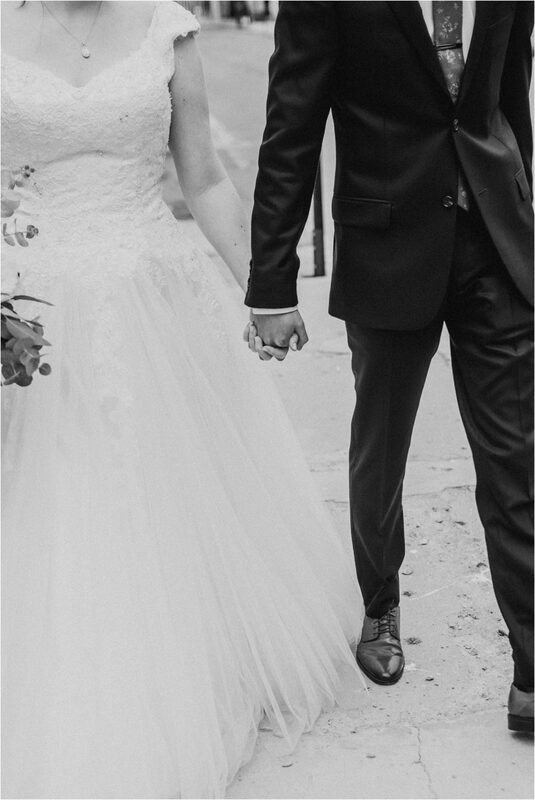 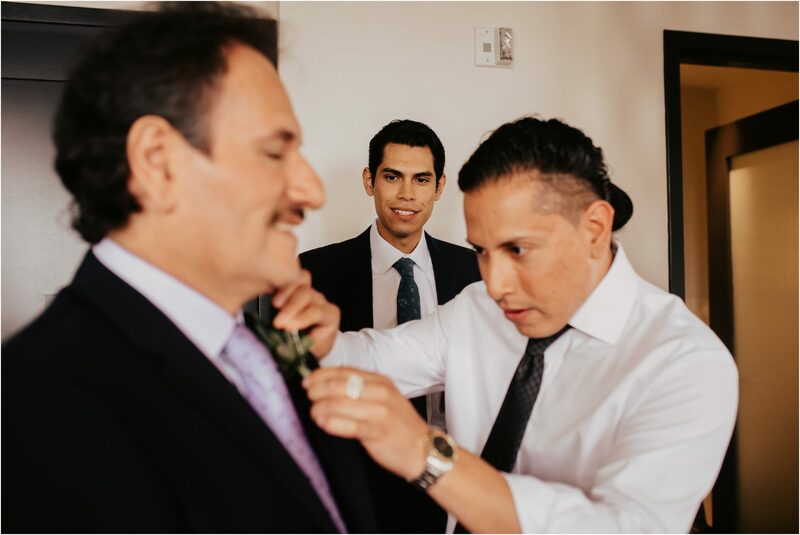 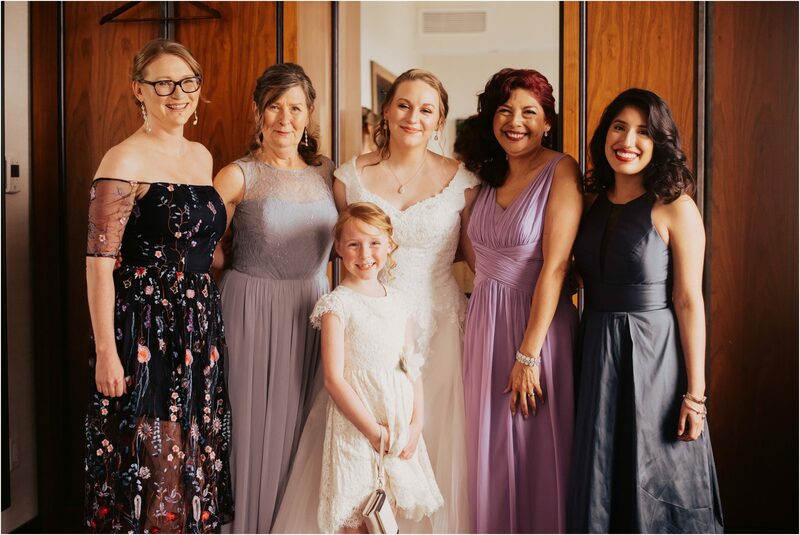 The couple has a close-knit set of friends and family, and that was so apparent during the multitude of loving speeches, the many happy tears, and all of the laughter and jokes. 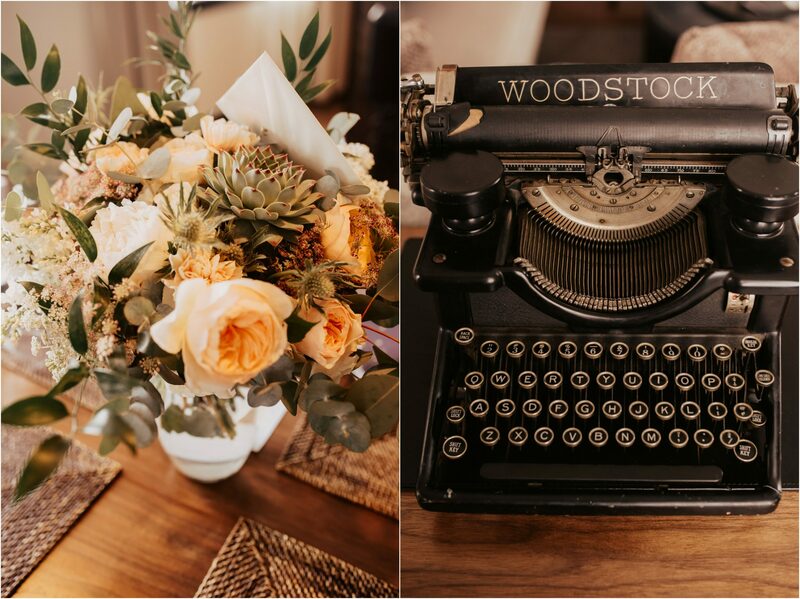 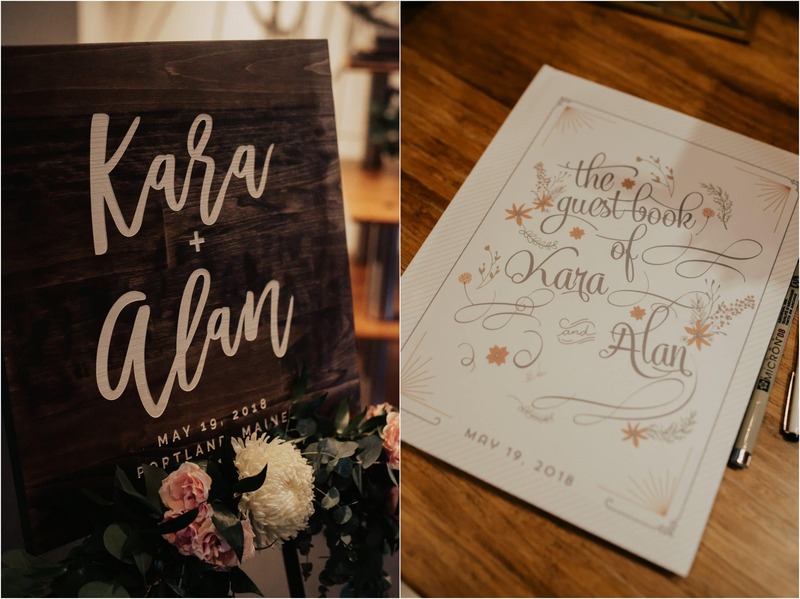 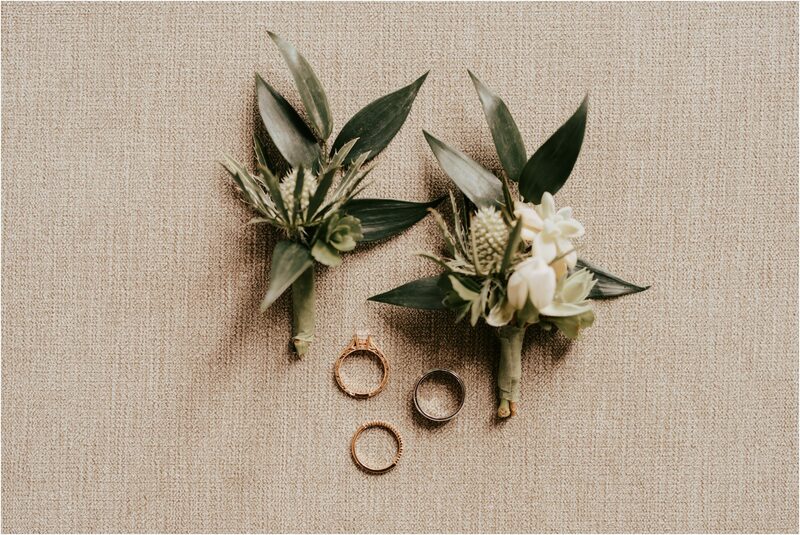 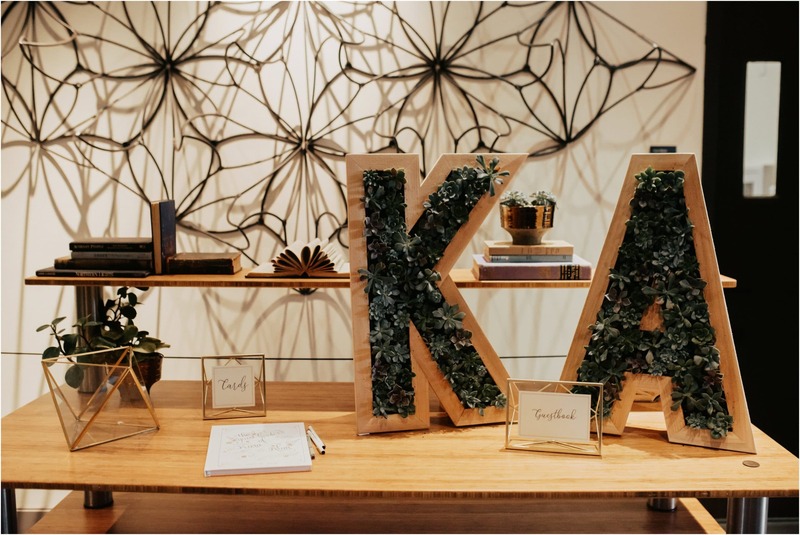 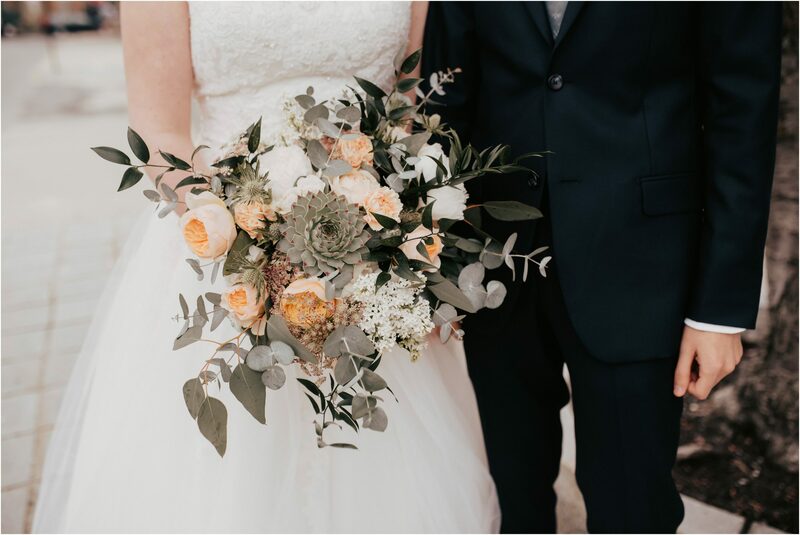 Kara + Alan chose succulents for their florals, created by the amazing Bad Rabbit Flowers, and designed their own wedding invitation suite, brought to life by Alan. 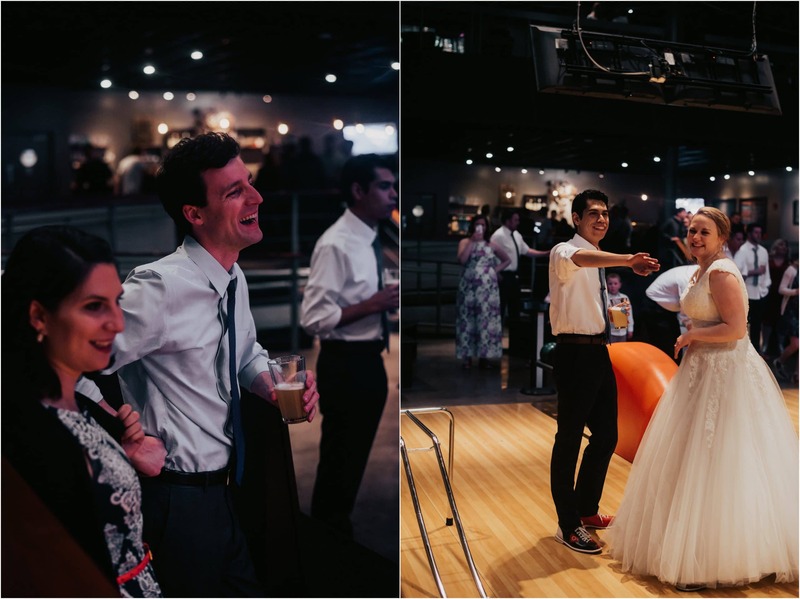 It was a day of storytelling, so many hugs, and a few bowling strikes! 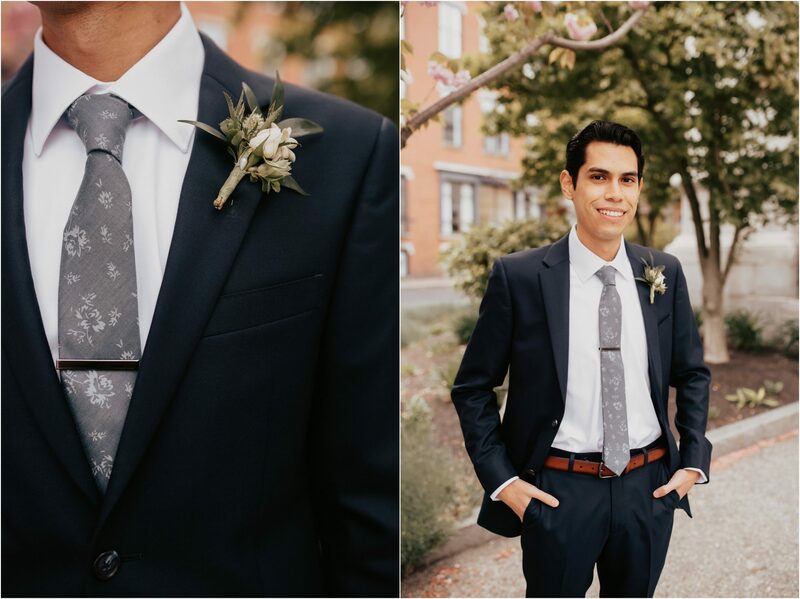 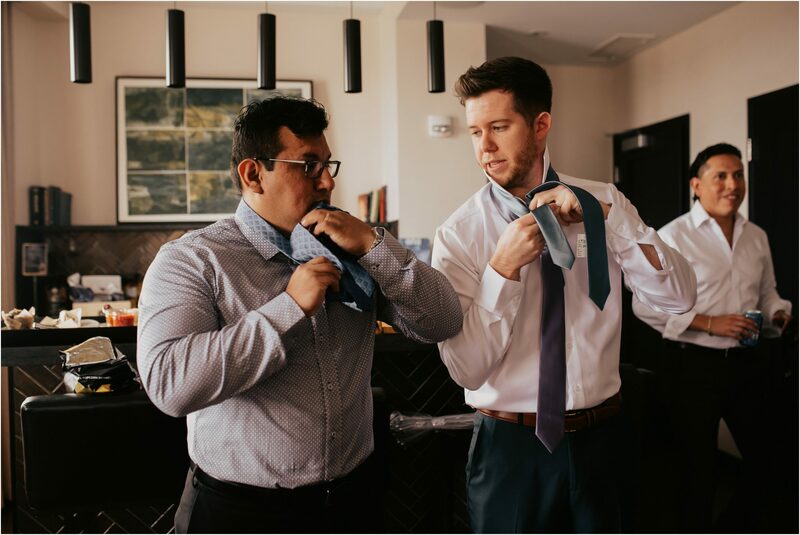 A great way to start the Summer wedding season. 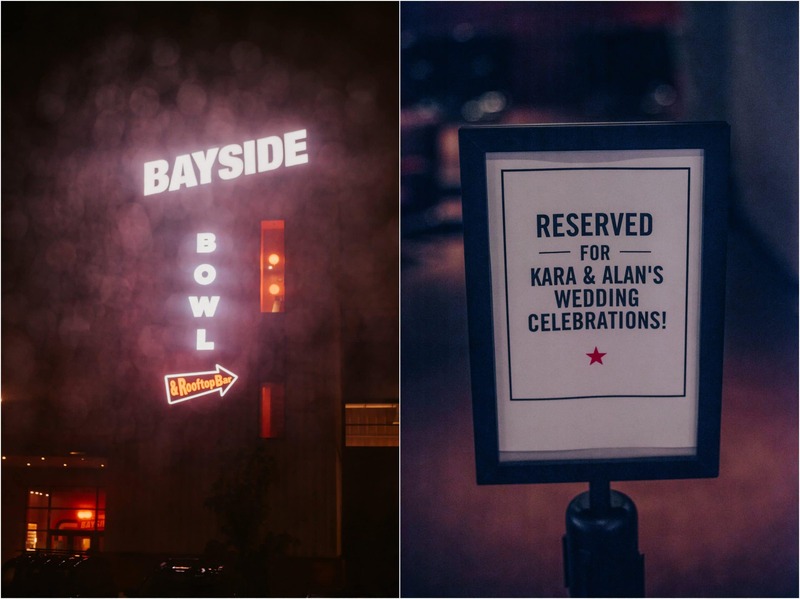 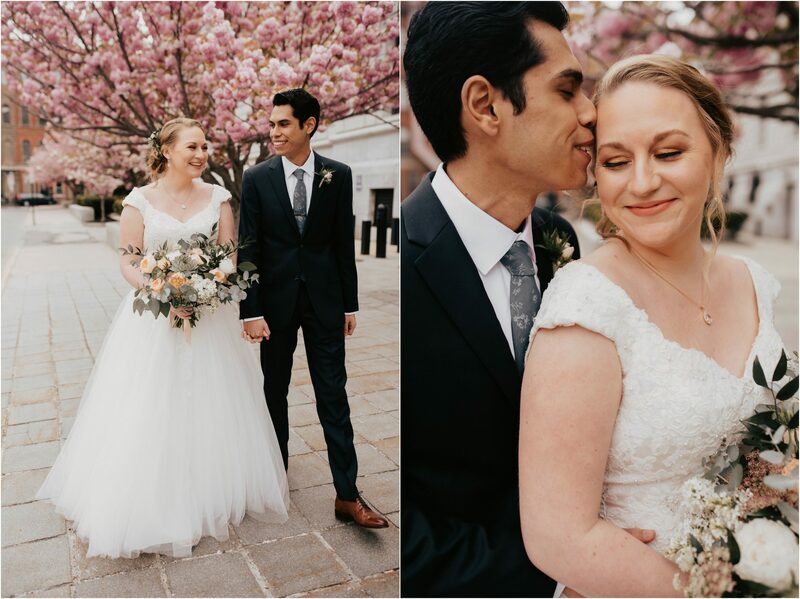 Congratulations, Kara + Alan!